Super Bowl Parties are all about the snacks and here's what you'll want to make to get your ultimate snack on. 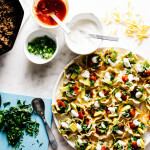 Are you wondering what to make for your Super Bowl party? Don’t worry, I’ve got you covered because I’m all about all the snacks, all the time. I’m not a fan of football or the Super Bowl (I like to call it the Superb Owl, a la Stephen Colbert) but I am a huge fan of hanging out and eating snacks all day. Please invite me to your Superb Owl party and let me eat everything?! If I were to have a party, which sadly, we are not, these are all the things I would be making! 1. 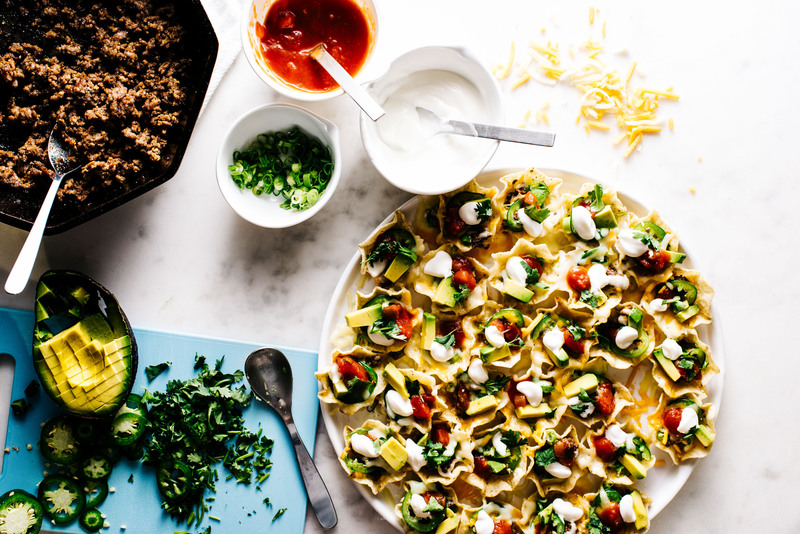 Spicy Sriracha Beef Nachos – classic nachos with layers and layers of spicy sriracha beef, cheese, jalapeños, red peppers, ALL the cheese, and cilantro. Serve it up with some salsa and guacamole, of course. If you’re looking for extra brownie points you can even make your own chips! 2. Perfect Microwave Nachos – fully loaded nachos obsessively prepared into individual tortilla scoops and put in the microwave for maximum efficiency. No need to heat up the oven guys, the microwave is perfect for melting cheese. 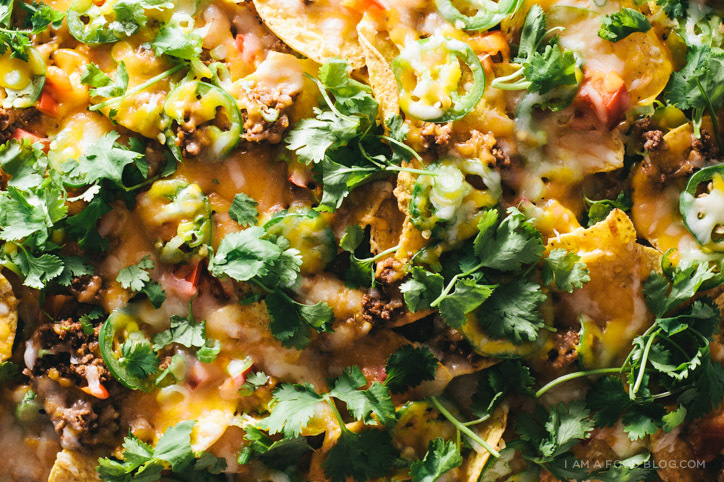 It’s a little persnickety to layer these guys individually, but the payoff is worth it: you can shove perfectly dressed nachos into your mouth without pausing to dip into salsa or sour cream. 3. 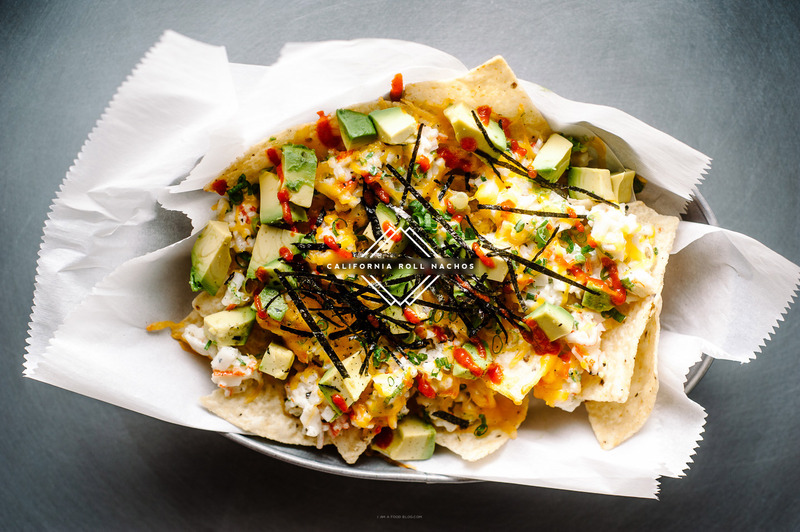 California Roll Nachos – do you love nachos? Do you love California rolls? Then you’re gonna love these Cali roll nachos. I came up with this genius (or monstrosity, depending on who you are) way back in 2014 and I still make them. Creamy crab meat, cheese, avocados, seaweed and melted cheese? Yes please! 4. Chinese BBQ Chicken Wings – aka char siu wings, aka baked burnished deliciousness. 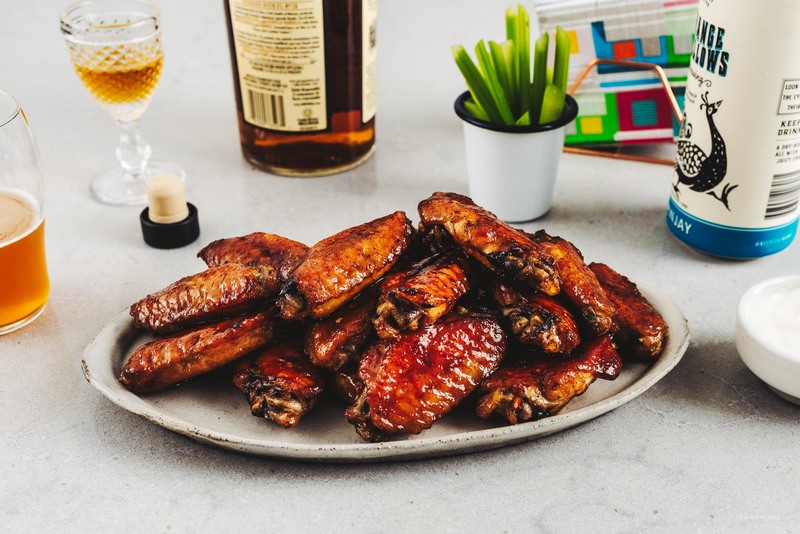 These wings are sticky, sweet, savory, and finger licking good with a secret ingredient: bourbon. Do it…they’re baked so it’s a super simple to toss everything together then pop them in the oven. 5. 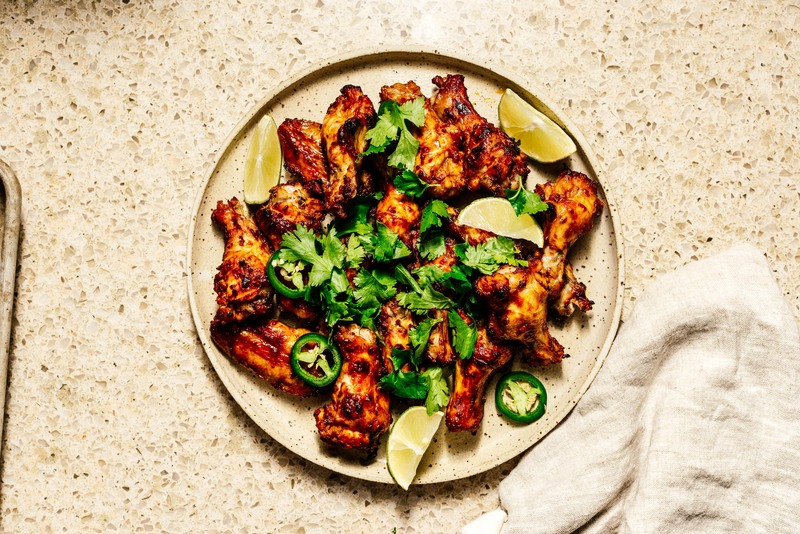 Oven Broiled Chipotle Chicken Wings – these are the wings you want when you’re looking for a quick and easy, super flavorful wing. A quick marinade is blitzed up in the blender then the broiler is your friend for bits of char that you usually need a bbq for. Do it, you won’t regret it. 6. 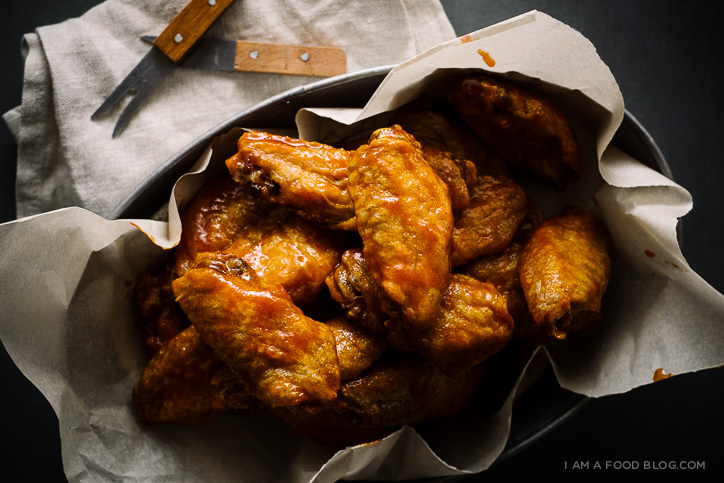 Crispy Oven Baked Buffalo Wings – mimicking the crispiness of deep-fried wings, these guys get a nice long bake in the oven boosted with the power of baking powder. The baking powder does some sort of science-y thing that helps with browning. After everyone’s crispy, they all get tossed in a butter-hot sauce-molasses mix for that ultimate buffalo-ness. 7. Roasted Red Pepper Dip – dips are always a good thing, especially with CHIPS! Or, you know, pitas, or if you’re really grown up, crunchy veggies. 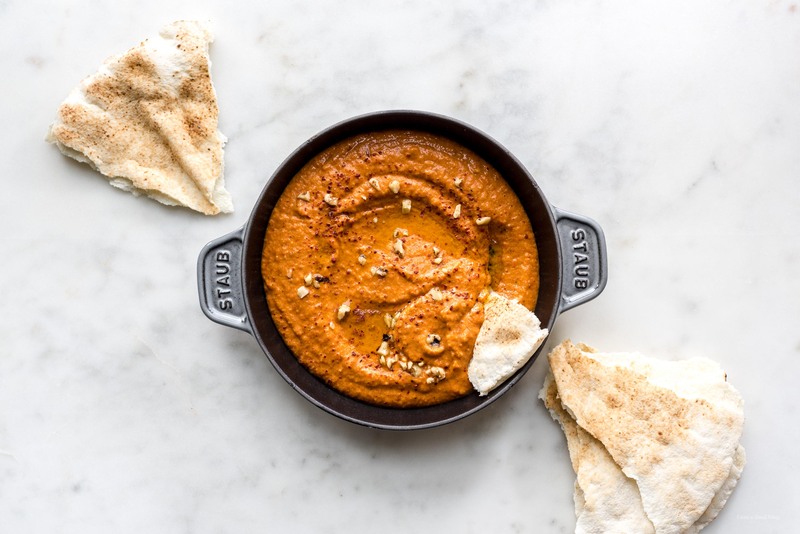 This roasted red pepper dip, or muhammara is classic Middle Eastern dip that’s full of flavor thanks to roasted red peppers, walnuts, and a hint of pomegranate molasses. Seriously so good. 8. 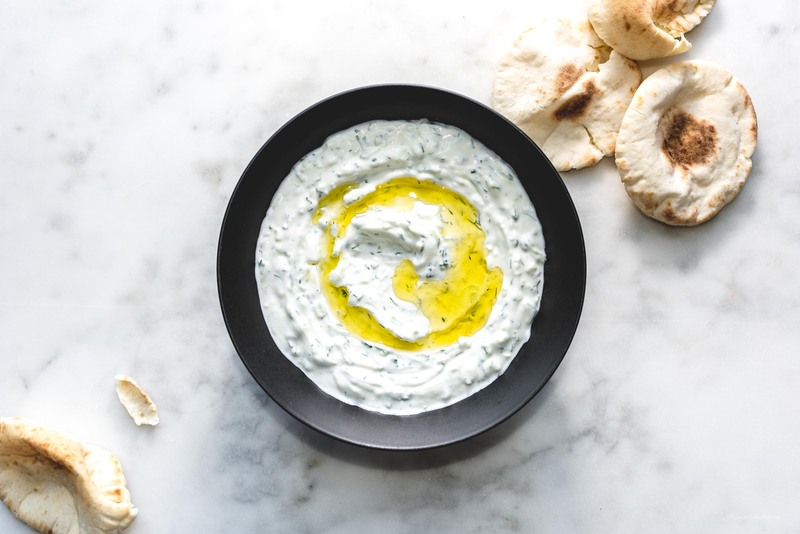 Creamy Cool Kid Tzatziki – more dips please! Because if you’re gonna get a bunch of stuff to dip into dips, you’re going to want to have lots of dips. This is a classic creamy tzatziki. Looks simple, tastes classic, and it’s great not just for veggies, but all those wings too! 9. 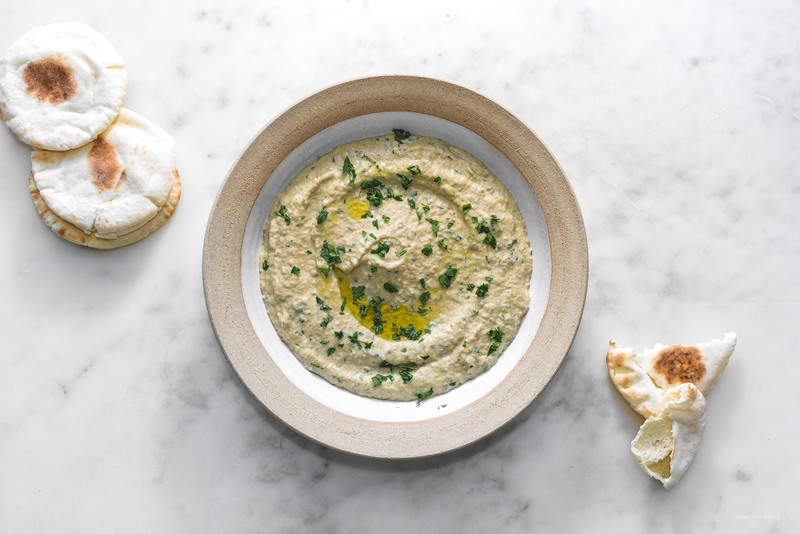 Oh Baby Baba Ganoush – If you love eggplant and tahini, this dip is for you. Smoky roasted eggplant blended up with lemons for zing, tahini for a rich nuttiness, and fresh garlic for a bit of a kick. Creamy, rich, and vegan to boot! 10. 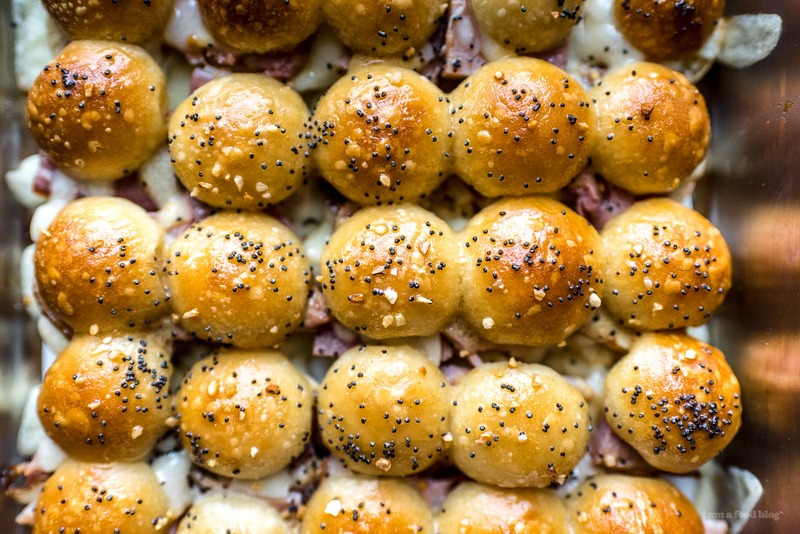 Hot Ham and Cheese Sliders – Once you bring a tray of these sliders out of the oven, you’ll be swarmed. Or, if they’re all for you, you’ll definitely be happy camper. Fluffy rolls, melty cheese, ham, and a dijon poppy seed butter. Serious comfort food. 11. 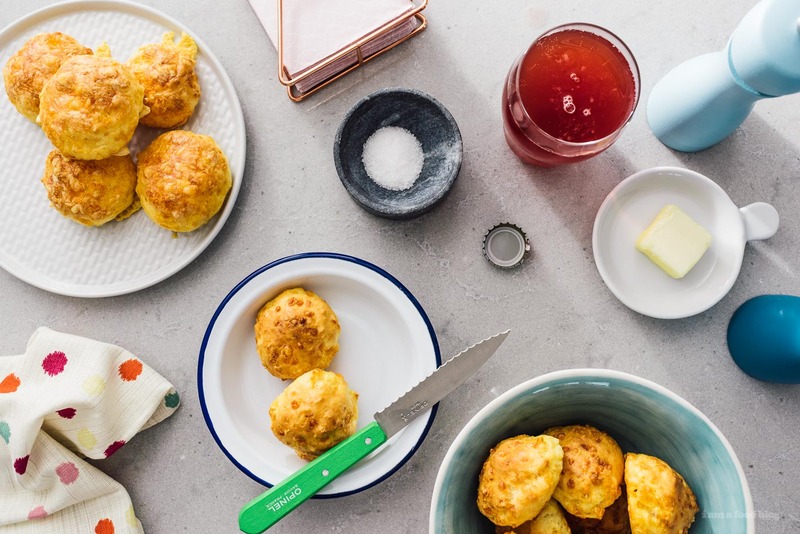 Brazilian Cheese Bread – I love these little crispy, chewy, cheesy pockets of deliciousness. They’re gluten free, but don’t let that scare you off. They’re one of my absolute favorite bread recipes because they’re so simple to make but so delicious. Honestly, I feel like I can’t even make them because I’ll eat the entire batch they’re that addictive. 12. 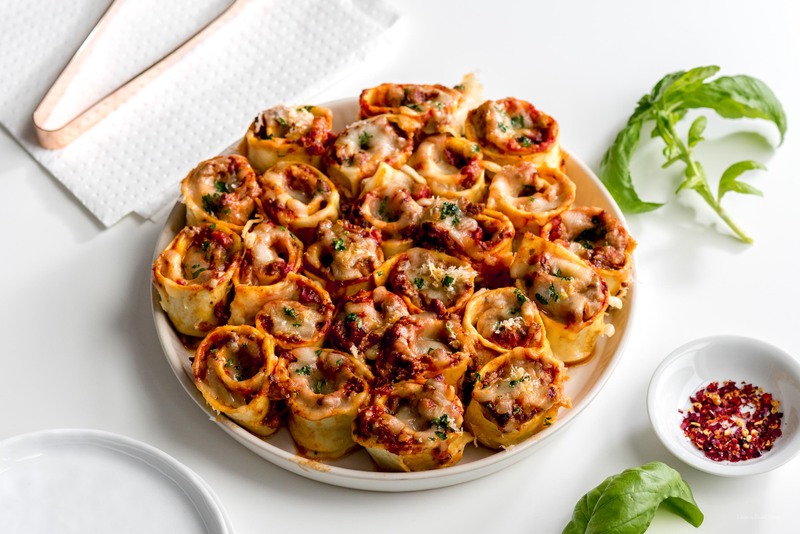 One Bite Lasagna Roll Ups – everyone loves lasagna and handheld one bite things, so these guys are a winner for sure. They taste great warm or even at room temp if they ever make it that far. Make a double batch and let them just hang out in your fridge for whenever you have a lasagna craving. Or, you know, finish the batch while you’re watching the game. Alright, that’s it! I hope you guys are keeping warm and making ALL the snacks for the big game on Sunday.